These findings support a larger trend of the growing importance of employee wellbeing. According to Gallup’s most recent iteration of the State of the American Workplace, more than half of employees report better overall well-being as “very important” to them. In the same survey, work-life balance and overall well-being were determined to be the second most important factor when choosing to work for an organization. When employees are fulfilled in all aspects of their well-being, this leads to increased employee engagement and increases individual performance. The desire for workplaces infused with daylight and views may also be due to our increased usage of mobile devices. The eMarketer Mobile Research study reports that American adults over the age of 18 spend about four hours on their mobile devices every day. In “The Employee Experience” study, we found that 73% of employees surveyed agree that the longer they use their technology devices, the more they desire a visual break such as taking a walk or looking through unobstructed windows to an outside view. Research by Cornell University Professor Dr. Alan Hedge reinforces the connection of natural light and employee wellbeing. Dr. Hedge’s recent research study found optimization of natural light in an office significantly improves health and wellness among workers. In fact, this research revealed that workers in daylight office environments reported a 51% drop in the incidence of eyestrain, a 63% drop in the incidence of headaches and a 56% reduction in drowsiness. Natural light isn’t the only important aspect of workplace wellness, of course. For example, one frequently cited Harvard study showed that improving air quality caused mental cognition to soar. But the Future Workplace Employee Experience Study found 78% of employees say access to natural light and views improves their wellbeing and 70% report improved work performance. The notion that the creation of the workplace environment is solely a real estate concern is an outdated concept. Today, employers recognize that the workplace environment is now part of the overall employee experience equation and a key lever to attract, engage, and retain top talent. In fact, CEOs are starting to focus on how the workspace can lead to improved productivity. Overstock’s 230,000-square-foot office in Salt Lake City, UT features a panoramic view of scenic Salt Lake Valley. Rather than obstruct this view with blinds, Overstock CEO Patrick Byrne wanted a solution that kept his employees connected with the view while working. So, Overstock installed 30,000 square feet of smart windows which automatically adjust to optimize natural daylight, allowing workers to shield glare from computer screens and creating a more creative work environment. With an annual payroll of over $100 million, even a 2% increase in productivity translates to a savings of $2 million. Now think about your organization. Workers spend on average 5 hours and 42 minutes at their desk each day. Having access to natural light can have a bottom-line impact on your employees’ work performance, wellbeing and engagement. See the workspace through the lens of your employees. Today, business leaders are aware of the power of creating an employee experience to mirror their company’s best customer experience. Tools such as design thinking and employee journey mapping are now often used to understand the moments that matter to employees. In fact, many companies are creating a new job role, Head of Employee Experience, to work closely with heads of Real Estate and IT to design and monitor how the employee experience is woven into the fabric of the business. Listen to your employees to understand what type of workplace environment they want. Companies routinely conduct employee surveys to gather feedback on a number of factors such as their culture, performance management and investment in learning and development. Now, they also need to include survey questions on the expectations employees have for the type of workspace they work in and how this impacts their overall wellbeing. Consider creating an optimal workspace for all employees — both executives and front-line workers. The notion that organizations create optimal workspaces for executives only is no longer the case. Companies like Airbnb and Overstock recognize the importance of the workspace for all employees — from the executive team members to the front-line customer call center operators. As employee experience becomes increasingly important to attract, engage and retain top talent, the workspace is now recognized as an integral part of this experience. 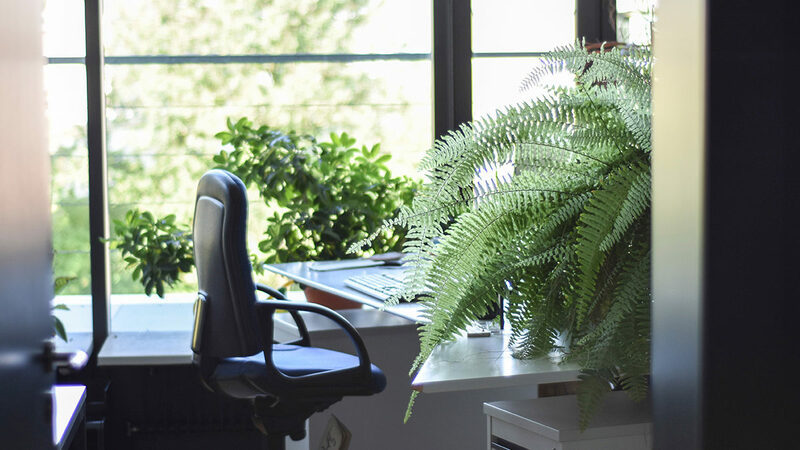 As companies increasingly look to empower their employees to work better and be healthier, it is clear that placing them in office spaces with the optimal amount of natural light should be one of their first considerations.